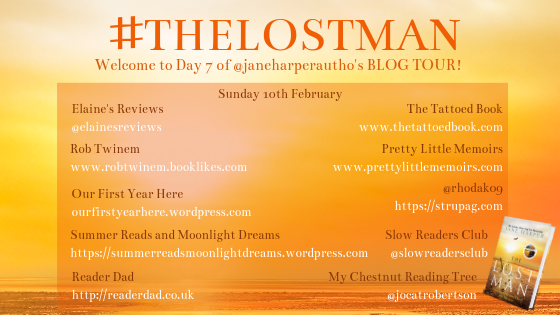 Welcome to Day 7 of THE LOST MAN tour by Jane Harper! 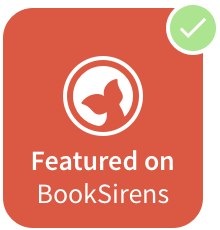 Today, you're welcomed by me (and a few others) to some more amazing reviews! He had started to remove his clothes as logic had deserted him and his skin was cracked. Whatever had been going through Cameron's mind when he was alive, he didn't look peaceful in death. Two brothers meet at the remote fence line separating their cattle farms under the relenting sun of the remote outback. In an isolated part of Western Australia, they are each other's nearest neighbour, their homes three hours' drive apart. They are at the stockman's grave, a landmark so old that no one can remember who is buried there. But today, the scant shadow it casts was the last hope for their middle brother, Cameron, who lies dead at their feet. Something had been on Cam's mind. Did he choose to walk to his death? 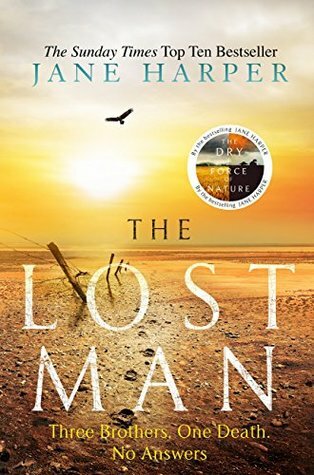 Because if he didn't, the isolation of the outback leaves few suspects...The Lost Man is the highly anticipated new book from the bestselling and award-winning Jane Harper, author of The Dry and Force of Nature. As someone who has already read The Dry and Force of Nature, Jane's other books, I'm pretty much hooked to her style of writing and the sheer gripping notion of starting one of her novels. So when I had the chance to participate in the blog tour for her newest release, there was no other answer than yes. I was definitely ready to dive back into the feeling of being immersed in one of Jane's books. I fell head over heels for Jane's writing way back when I first began reading her books with The Dry a few years ago. Getting immersed back into the thickly-cut heat of Western Australia, imagining the pealing sun, the sticky-summer landscape of the Outback, we get the setting for another of Jane's novels with The Lost Man. In the beginning, we're thrown into another mystery in the first of her standalone books that don't follow the same path as her other books. Cameron is dead, and authority has come to assume that it's a suicide. But Cam's older brother Nathan doesn't think so - he knows this wasn't what they think. Nathan sets out to find out what really happened to his brother. He remains fixated on what happened, sifting through suspects and deciding which path his younger brother took to his ultimately, last night. In the Outback, there's few suspects to choose from. Finding someone with a motive in the sheer isolation is thrilling, following Nathan's footsteps to the conclusion. The clues are there, and like most readers who have read The Lost Man alike me, will have put together the pieces as Nathan was, and maybe, like me, discovered more lying between the lines. Overall, Jane has truly outdone herself. Whilst nothing will beat The Dry for me, The Lost Man was such a close contender toward the end. I was hooked on this hotly anticipated read, following these intense steps of another killer novel by Jane Harper. Four amazing stars for my first read of 2019! Jane Harper is international bestselling author of The Dry and Force of Nature. 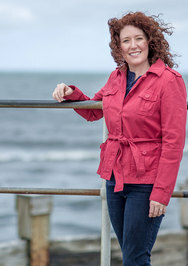 Her third book, The Lost Man, will be realised in October 2018.Jane has won numerous top awards including the Australian Book Industry Awards Book of the Year, the Australian Indie Awards Book of the Year, the CWA Gold Dagger Award for Best Crime Novel, and the British Book Awards Crime and Thriller Book of the Year. Her books are published in more than 36 territories worldwide, with film rights sold to Reese Witherspoon and Bruna Papandrea. Jane worked as a print journalist for thirteen years both in Australia and the UK, and now lives in Melbourne. Have you read The Lost Man?